In one of my jeepney rides, I was lucky enough to be able to meet a true gentleman. 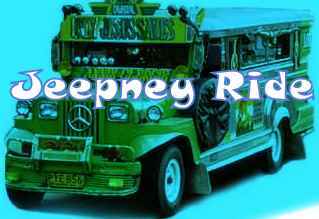 I was the last person that was accommodated to ride in the jeepney. It so happens that I would not fit anymore in the small space available in the seat of the jeepney. This true gentleman offered me to sit properly so that he would be the one that would settle himself in that small space. As the ride goes on, I observe that he was already sweating, his knee was a bit shaking and his grip on the steel bar was so tight. Even at that state I never heard him complained. I should have been the one that is experiencing what he is facing that time which made me admired his concern for women. It is a rare scenario in a jeepney but a proof that there is still a true gentleman.